This maybe a little bit of old news but I still think it’s worth to write about. 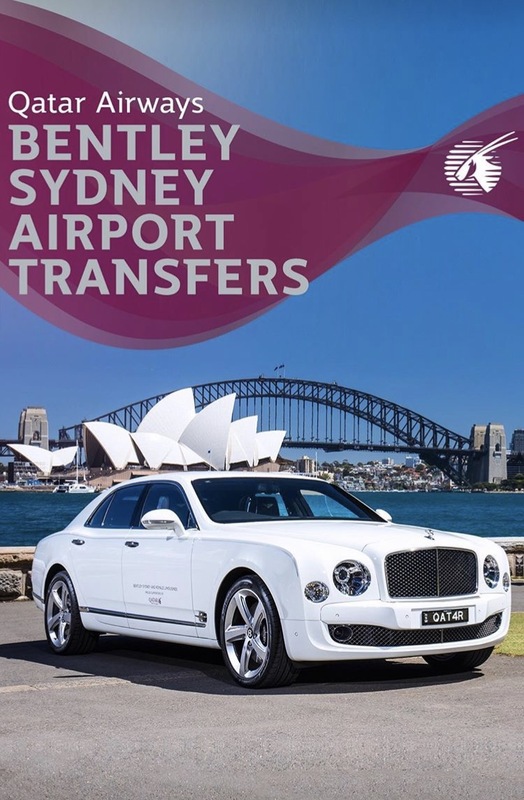 Qatar Airways have recently partnered with Luxury Limousines and Bently Sydney to provide ultra luxurious Bently transfers to and from the airport. The chauffeur is available to select first and business class passengers, I’d say redemptions and saver tickets won’t be eligible. 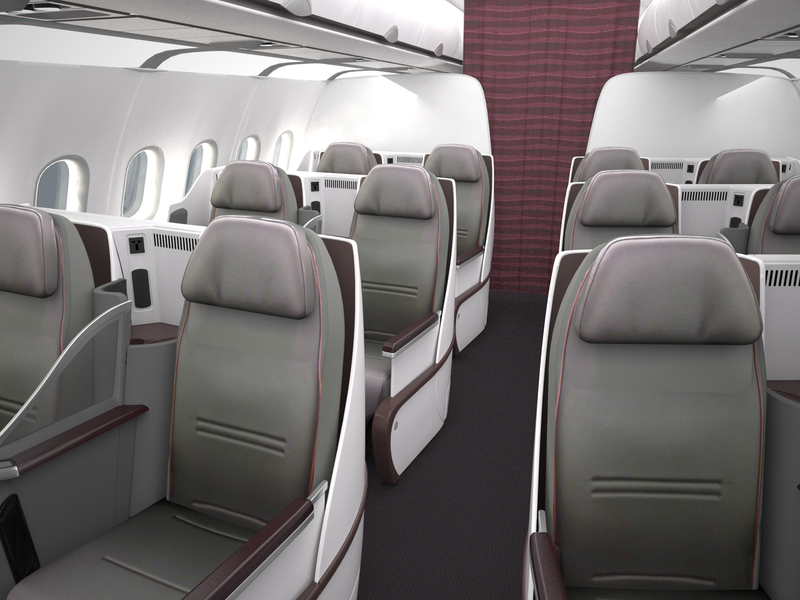 The company is apparently using a white and maroon color to match the airline’s paint. This is a pretty cool promotion and it’s supposed to end at the end of November. This is a pretty enique promotion that I would say won’t happen very often. I would of liked to try one but buying a flexible first or business ticket doesn’t sound appealing for a car ride. 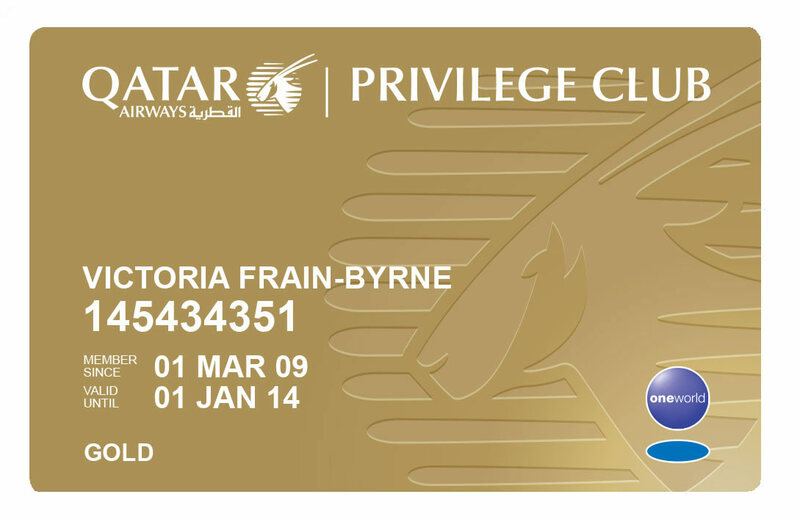 Qatar Airways is known for doing some weird and wonderful things but this one took it to another level. Qatar’s airport has a new theme song, and the country’s national carrier has just released a beautifully-shot video of it. The anthem, called The Beginning, is the result of a collaboration between local singer-songwriter Dana Alfardan and the Qatar Philharmonic Orchestra (QPO). 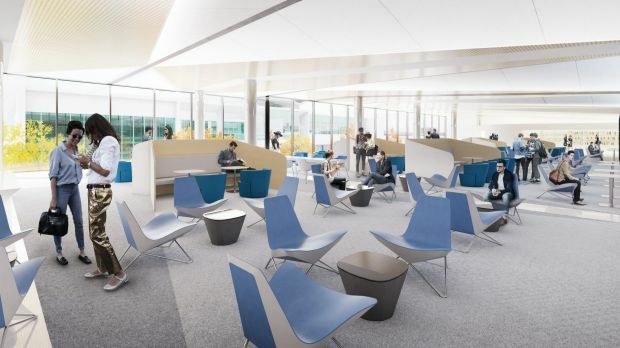 The song is very well put together and actually enjoyable to listen to but, is a theme song really needed for an airport? Qatar never fails to turn heads. 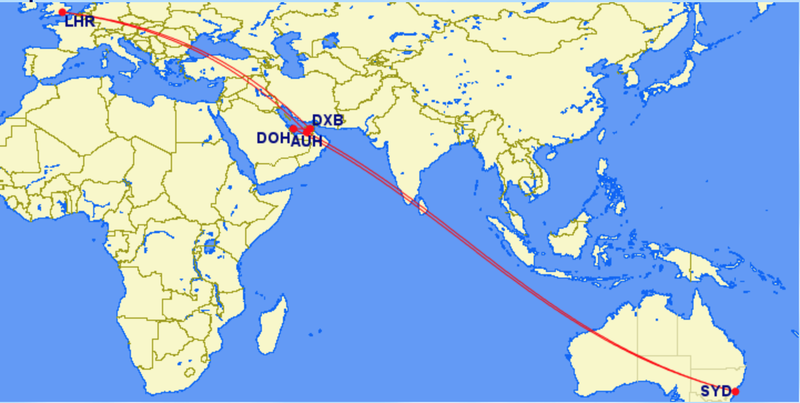 Qatar Airways have tonight commenced their A380 services into Sydney. 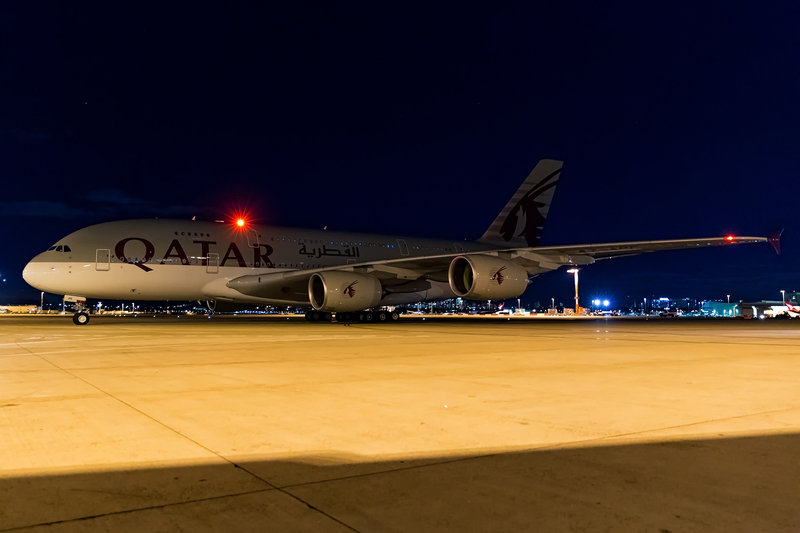 The Doha-based carrier has previously been operating their 777-300ER on the route and has now upgraded the flight to their pride and joy A380. 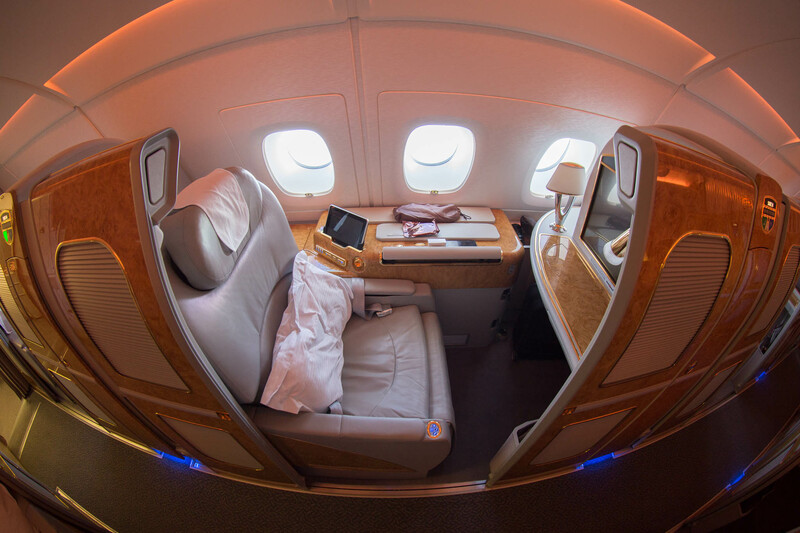 In terms of passenger comfort passengers will be very happy with what the A380 offers, especially in first and business class. 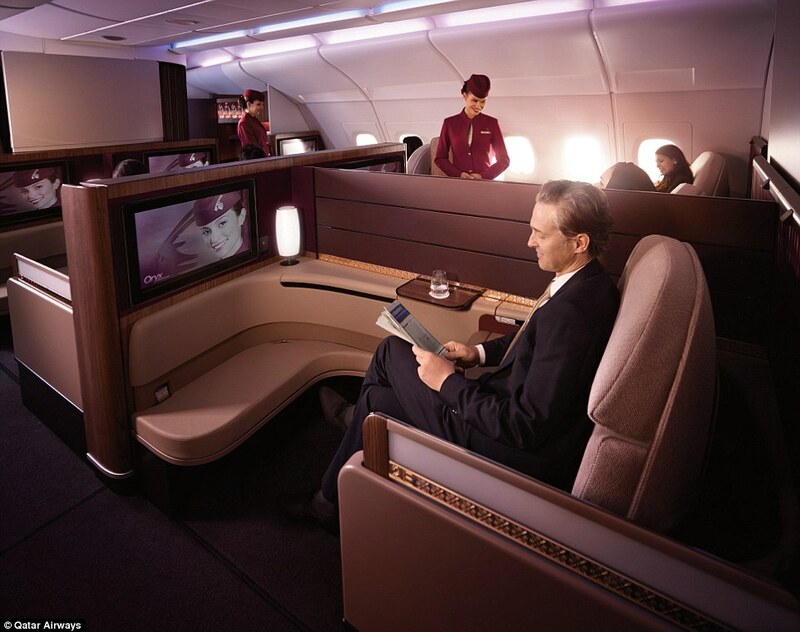 The 777 previously operating the route did not have a first class cabin so travellers wanting more than business class will be very happy to first class available direct to Doha. 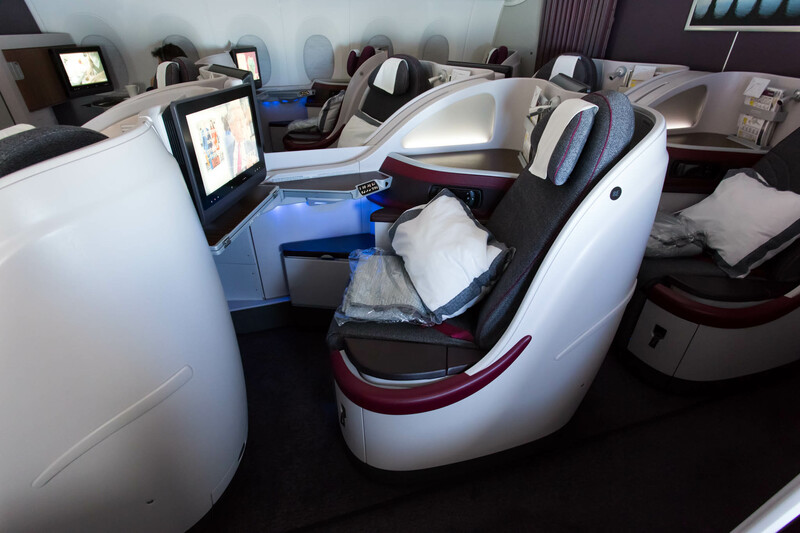 Qatar also has a brilliant business class product on their A380 which is known as ‘Reverse Herringbone’ seating. 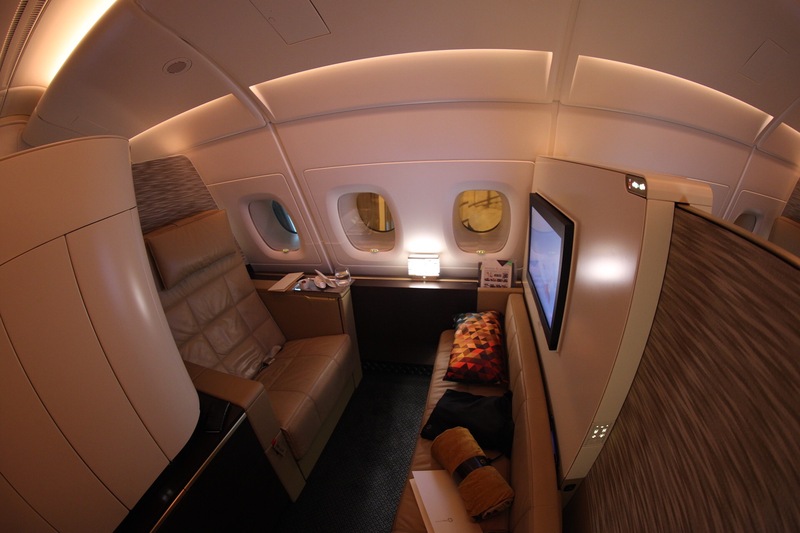 I flew these seats on their A350, and the business seating is identical. 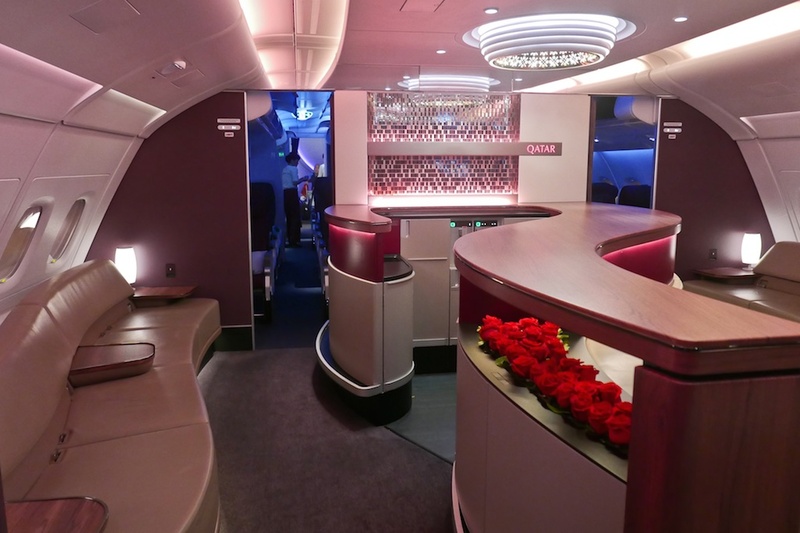 Qatar also has their popular in-flight bar on their A380 which serves some rather high-end alcohol. This is also a unique service for Qatar as it’s their first long-haul scheduled flight with their A380. The airline only previously flew the aircraft to London and Bangkok. 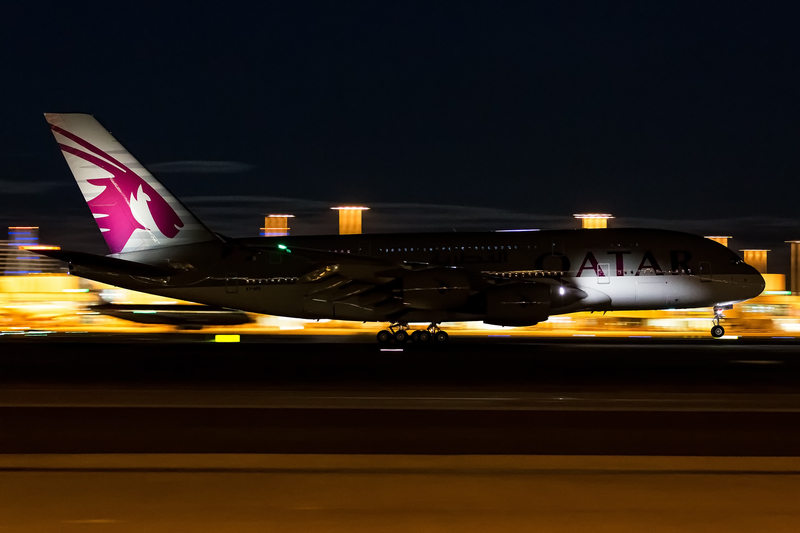 It’s fantastic to see Qatar fly their A380 into Sydney. Hopefully, Melbourne will get an upgrade next as Etihad and Emirates have upgraded that route and competition is fierce in the Middle East. So who knows what’s to come? I’ll most likely be reviewing Qatar first in a few weeks so stay tuned for that.